We’ve put a lot of work into designing, building, and testing our levels. In particular, now that we’ve got a lot of the other pieces in place and a good amount of user-testing done, we’ve been focusing quite a bit on level design. After all, as a puzzle game, the most important part of our gameplay is the puzzles themselves. An incredible game can end up flopping due to bad puzzle design, and a mediocre one can actually do really well, if the level design is good. But how does level design actually happen? We have a bunch of levels, but how did we come up with them? What’s the process? Design of an upcoming level, Fountain! The problem with level design is that it’s an inherently creative endeavor. I’ve always had trouble with this type of task – if I sit down and work on something for an hour, I want to see some measurable progress. But if I try to work on level design for an hour, I could literally just be sitting there thinking the whole time, with nothing to show for it. This (at least for me) is one of the reasons that level design often gets pushed to the proverbial back burner. I always want to work on game features, because I know I can make some progress on them, so I opt to do that rather than level design. However, this can be a dangerous prospect, as this is a great way to end up scrambling for levels, putting too little thought into their design, and releasing a great game with bad puzzles. You can’t just say “I’m gonna go design a level!” I mean, you can (and sometimes I do), but that’s not the best way to go about it. Unfortunately, you’re really at the whim of your own brain – you have to be struck with inspiration. The best levels I’ve designed didn’t happen during a ‘level-designing brainstorm’. They happened when I was walking down the street, or sitting down at dinner, or pretty much anywhere, when I noticed something that made me think of a cool level. Inspiration isn’t something you can schedule, work hard at, and then just do. It has to come to you, which, for me at least, is terribly annoying. All of this gets even more difficult when it comes to designing puzzles specifically for Where Shadows Slumber. 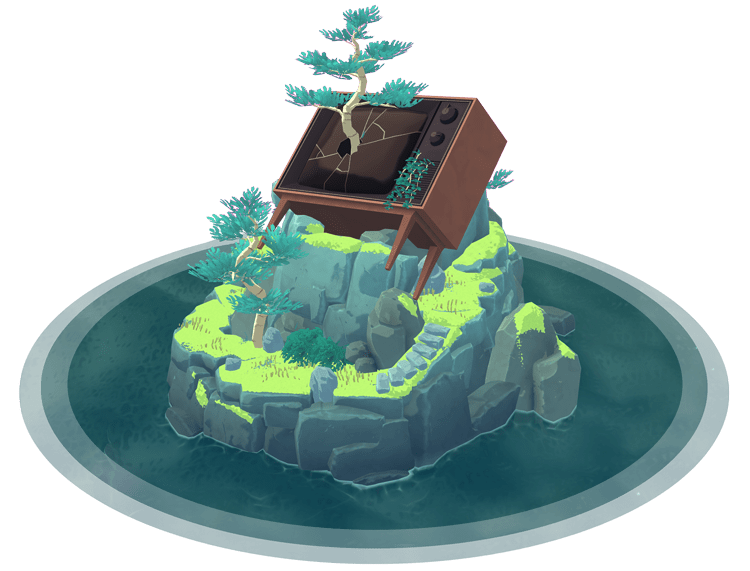 Any innovative puzzle game has a sort of quirky concept, a hook to get users to take notice and to make the puzzles more unique and interesting. For us, of course, it’s the shadows and the ever-changing nature of the world, and those aspects of the game are what make it the hardest to design for. So you sit down and design a level. It looks pretty cool, it’s got a nice flow, it seems challenging and fun. You show it to your team, or you start to implement it, and suddenly you realize – it just doesn’t work. There’s one small thing that prevents the level from working, whether it be a light in the wrong place, an object that should cast shadows but can’t, or maybe it’s just too difficult for a user to get. These aren’t great examples, but this type of situation comes up all the time. We designed around 30 levels for Where Shadows Slumber at the beginning of the year, and now we only have around 15. What happened to the other half? There was something small that prevented them from being good levels – and it’s hard to notice any of these issues until you implement the level and test it out. The other difficult part of designing these intricate levels is actually communicating them to each other. Every level design, no matter how great, needs to withstand the feedback of its peers. The problem is – how can we show these crazy levels to each other? We’ve tried drawing them and sending them to each other, but they’re often too intricate to really ‘get’ from a drawing. In the end, the only process we’ve found for sharing levels is to sit down in the same room together and talk through what the level consists of, along with the drawings. Even this isn’t good enough for a lot of the more complex levels – sometimes the only way to show your team the level is to build it! This is very frustrating, especially when you build a level that’s no good, and you have to throw it out, but sometimes it’s a necessary part of the process. Of course, the real judge of level design is the user. It doesn’t matter if every one of your levels is a masterful blend of elegant design and game mechanics if your users don’t enjoy playing it. This is a pitfall that I continually see people falling into, and, as I recently realized, one in which I lived for a good portion of the development of Where Shadows Slumber. But no longer! Throughout our testing, the users have spoken, and we are listening! Getting some feedback on level design! What does it meant to design for the user? How do we know what they will and won’t like? That’s a difficult question without an easy answer, but I will share some of the tips that I try to stick to. Listen to your users. This should be obvious, but sometimes it’s not. You have to get your game in the users’ hands, get them playing the game, hear their feedback, and actually listen to it! You’ll never know that users don’t like one of your levels unless you let them test it out, and your level design won’t be good if you disregard their feedback. Difficulty/learning curve. If your game has a crazy mechanic or concept, the user isn’t going to know how it works – it might seem intuitive to you, but that’s because you’ve been working on the game for so long! You have to make sure that you gently introduce them to the mechanic, in a way that shows how it works while also keeping them hooked. And you have to make sure the difficulty ramps up before too long, or they’ll just get bored of your everlasting tutorial. Remember that the user doesn’t know what you know. Some people phrase this rule as “treat the user like they’re stupid”, but I think that’s an overstatement. Your users aren’t stupid, they just don’t understand the subtleties of your game the same way you do. They will never do exactly what you expect, and they will never understand the level as well as you do. You need to keep that in mind, examine your level design with an objective eye, and make sure that the experience is enjoyable for the user no matter how they go about solving your puzzles. Users want to feel smart. The people who pick up and play a puzzle game are usually pretty smart people, and they want to feel smart. This leads to an important design philosophy – make your levels hard, but not too hard. The user doesn’t want to just play an endless parade of easy levels – they won’t feel any satisfaction from beating them. On the other hand, the user doesn’t want to hit a near-impossible level – that’s just frustrating! Beating a level should be easy enough that your users will beat it without getting frustrated, but hard enough that they feel accomplished when they do. Iterate and Re-use. Sometimes, your users won’t like a level – it happens. In this case, you shouldn’t simply throw the level out. An important part of design is iteration – if your users don’t like a level, figure out why. Figure out what you can do to improve the level. There are parts they don’t like, that you’ll probably end up taking out, but there are most likely some good things about the level, and you don’t want to waste them. Try to fix what the users disliked, and then head back to them and get another opinion. Creating a game takes a long time, and there’s a lot to do. Sometimes, you just don’t have the time to pour your heart and soul into every level you design. Sometimes, you just have to put in a few ‘filler’ levels. When is it okay to do that, and what’s the best way to go about doing it? As much as I’d like to say “all levels are created equal”, I can’t, because it’s not true. Frankly, there are some levels that are a lot more important than others. Which levels are most important? The early ones. One of the biggest hurdles for a game is what I call the barrier to entry. If I pick up a new game, and the second level is really annoying, there’s a chance I’ll just put it down and never play it again, even if the rest of the game is phenomenal – I have no way of knowing that, and I assume the rest will be just as annoying. However, if I play the exact same game, but it’s the seventh level that’s really annoying, I’ve already played through six awesome levels. The game has earned some credit with me, so I’m willing to let one annoying level slide. This is doubly true for puzzle games where the user has to learn the mechanics. If you don’t teach the user your mechanics very well in the first few levels, they’re not going to enjoy the rest of the game, because they won’t have learned how to solve the puzzles. The third argument for this is simply a mathematical one. Every user who plays your game will play the first level. No matter how good your game is, there’s some rate of falloff – some people just stop playing. That means that almost every user plays level two, and most users play level three, and so on. So, the levels that will see the most playtime overall are the first levels, hands down (for any statistics nerds out there, this is basically the same premise as Benford’s Law). So, if you’re running out of time for level design and you need to skimp on some levels, you should make it levels later in the game. Anyone who has gotten that far already likes the game (presumably), so you don’t need to sell it to them, and they’ll give you a little more leeway. Now that we’ve tested some of our levels, we’re ramping up into more level design, and I though it would be a good opportunity to show you a little bit of our process. Hopefully you learned something about our level design process, and maybe you can even use it in your own projects! If you have questions about our game design process, feel free to contact us! You can always find out more about our game at WhereShadowsSlumber.com, find us on Twitter (@GameRevenant), Facebook, itch.io, or Twitch, and feel free to email us directly with any questions or feedback at contact@GameRevenant.com. Almost everyone involved in indie game development these days gets into it for the same reason – we played games, we liked those games, and they inspired us to make our own games. We want to capture whatever it was that made us love the games we played when we were younger. Whether it was the storyline, the art style, or the gameplay itself, these games made us who we are, and they influence every decision we make in our own games. A few weeks ago, I was discussing game development with a friend when they asked me “what are your favorite video games?” After I rattled off a few, they asked another question – “Why?” This was followed by a really interesting conversation, because the games I chose were so different, and yet they all influenced the way that I design and make games now. So I’m going to share that list with you now. I’m going to tell you my favorite video games and how they have affected my own game development, and I hope you’ll think about your own answer to the question as well; what games make you want to make games? I’m gonna start here, because I mentioned it last week, and because everyone is expecting it. If you’ve played Where Shadows Slumber, then it probably reminds you of Monument Valley. This isn’t exactly intentional, but I would be lying if I said that we weren’t inspired by Monument Valley in a lot of our design decisions. There are a few things that Monument Valley did that were very important. First and foremost, it’s beautiful. I’m not one who really focuses on how the games I play look, but Monument Valley manages to be beautiful beyond the point of ‘good graphics’ and actually into the realm of ‘art’. This aesthetic quality is something that isn’t necessary for a game, but if you go for it, it definitely wins some points. Secondly, Monument Valley showed that you can have a game with an incredibly simple concept, yet still have intricate, mind-bending puzzles. Additionally, it does so on a form-factor (mobile) that doesn’t lend itself nicely to this type of intricate, high-quality game, and still managed to do well, despite the industry’s focus on the ‘freemium’ monetization model. Monument Valley showed, most of all, that if you really put a lot of work into making a truly incredible game, you can be rewarded for it. Ah, StarCraft. This is really where it all began for me. This was one of the first games I really got into, and it became a very important part of my childhood. If I had to pick one game on this list as my all-time favorite, it would have to be StarCraft. 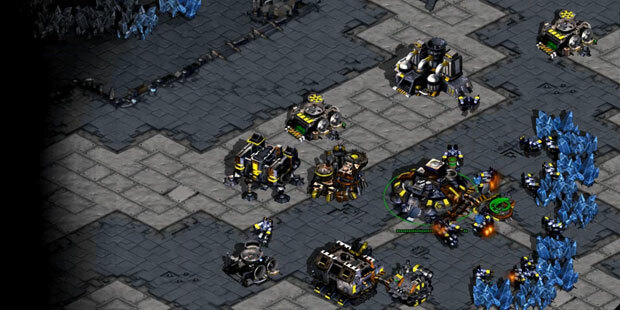 When I was talking about my favorite games and StarCraft came up, I tried to think of why it was my favorite game, from a game design perspective. StarCraft is a very complex and strategic game. The skill cap is incredibly high, and there’s always room for mind games and counter-play. I played a lot of competitive games of StarCraft, and I spent hours perfecting my worker split (for those of you who don’t know what that means, just be glad you didn’t have to do it). The depth this game has is fantastic – but are any of those really the reason I loved StarCraft so much? No – the reason I loved StarCraft so much was the way it created memories of playing with friends. It wasn’t the game itself that made it fun, it was the people I played it with. When I think of StarCraft, I think of the 5-player game where one friend had nothing but a single pylon and about 40 Corsairs – every time someone else won a battle, those corsairs would arrive to finish off his fleet. I think of the time I won a game by building nothing but Ghosts and Valkyries, for some reason. I think of the EMP-Nuke rushes, the epic micro battles, and the mind games. Most of all, I think of laughing with my friends as it all went down, and even occasionally loading up a few replays and just watching them. Children’s special on the meaning of friendship aside, these stories and interactions are the reason I love StarCraft. Unfortunately, that doesn’t really inform any of our game design decisions – you can’t build any of that stuff into a game. What you can do is make a game that has the potential for these stories. Make it so that your players can do crazy, funny, awesome things. Your game may be strategic, intense, and mind-blowing, but, above all else, you need to make sure that it’s fun. Cave Story is a testament to what indie games can accomplish. Cave Story was created, music, art, gameplay, and all, start to finish, by one guy in his spare time. And, aside from being an inspiring story, it’s also an incredibly great game! In my mind, the reason that Cave Story is so good is that it doesn’t make any concessions. Every part of the game is great. The storyline? Funky, but really cool. The gameplay? Skill-testing and engaging. The music? Amazing! For almost any facet of a game that you might ask about, the answer for Cave Story would be “yeah, it has that, and it’s awesome!” It just feels like an absolutely complete game. Comparing a game like Cave Story to a lot of the pretty good, mostly-finished games you see really drives home the importance of actually finishing your game. Rather than saying “yeah, the controls are a little off, but it’s not a big deal”, get in there and fix them! The other big reason to talk about Cave Story on a game development blog is because of its development. Cave Story has become a sort of cult classic, in a good way. It’s so incredibly inspiring that one guy can make such a great game in his spare time. Rocket League, also known as Hot-Wheels soccer, is the game I’ve been playing the most recently. As such, I have a pretty good feeling for why I like it so much. There are really two reasons. (1) The controls in Rocket League are phenomenal. Imagine you’re playing some other game, and you miss an objective (whether it be a goal or a kill or whatever). Inside your head you’ll end up saying “I would have had it if the controls were better”, or “I was trying to move to the left, but my guy didn’t go where I wanted”, or something like that. You can always blame the game, rather than yourself. In Rocket League, you don’t have that luxury. Once you figure out the controls, it’s all on you – when you tell your car to do something, your car does exactly that. This can lead to a little frustration, but it also leads to some absolutely incredible plays from the pros, and it means that every time you do something right, you feel that much better about it. There’s no better feeling than flying through the air, using your boost and turning you car in exactly the right way to score a crazy goal, and knowing that it was all you. That feeling wouldn’t be possible without the most finely-tuned controls. (2) The other great thing about Rocket League is what I’m going to call it’s ‘skill curve’. This is different from a ‘learning curve’ – a learning curve implies that the game gets harder as you go, so you have to learn in order to beat it. The ‘skill curve’ is the inverse of this. You’re never ‘not good enough’ for a game; rather, as you play, you get better. This is true of most games, but it feels the most rewarding in Rocket League. When you first start to play, you have a hard time hitting the ball. With enough practice, you start to hit it pretty consistently – that advance in skill is noticeable, and it feels great. Just as you’re getting good at that, you realize you’re not rotating properly. When you start to master that, you begin doing aerials. You’re always getting better, and you always feel like you’re getting better – your skill level never plateaus, you just keep getting good at the game. Rocket League isn’t what I would call a deep game. There’s no storyline, no (or very few) different levels, nothing really new about the game. Psyonix does release different game modes and new maps from time to time, but the core gameplay remains mostly unchanged. And yet, despite this, it’s the game I keep returning to. It never really gets stale, thanks to its controls and skill curve, which is incredible for such a straightforward game. Rocket League shows that you can give any game a lot of replay value just by making it well. 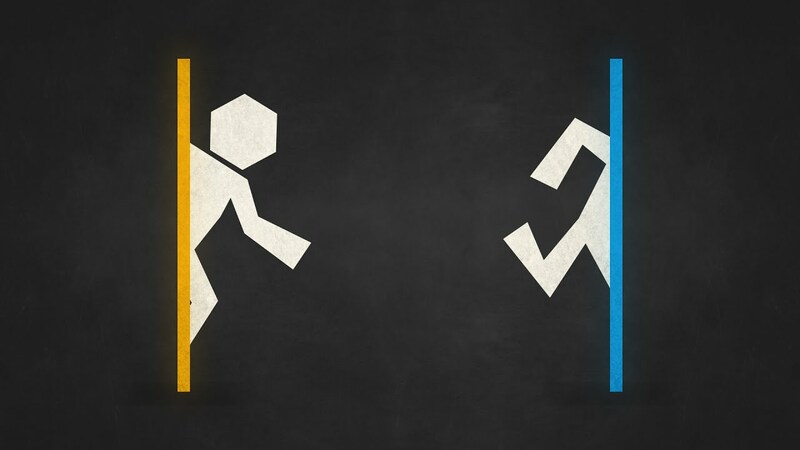 Portal is just an incredibly solid example of a well-put-together game. At the time, it seemed to be a sort of ‘add-on’ game, a little nugget that Valve added into The Orange Box. While the other titles in The Orange Box (Team Fortress 2 and Half Life 2) were really awesome, it was Portal that stood out to me, and to most people that I talk to. Why? Well, Portal wasn’t just another game. The thing that excites me most about any game is when it explores new design space, and that’s exactly what Portal did. There were no guns to shoot (well, no real guns), no enemies to destroy, no princesses to rescue. You’re simply introduced to the world and the theory of portals, and you have to make your way through it. Your only weapon is the portal gun, and your only enemies are the levels themselves. It’s a very simple distillation of the essence of a puzzle. This is something that I aim for when designing my own puzzles – if you still have design space to explore, there’s no need to complicate your levels. Portal really provides us with a master class on not overstaying your welcome. Really, it was the perfect length for what it was. You learn the mechanic, you get to used it, and you advance through puzzles with it. By the time you reach the end, you’ve explored most of the design space, but haven’t gotten to a point where it’s become timesome or tedious. Plus, Portal does a great job of indicating its short, jolly mood through the use of its witty writing. This combination of very pure puzzles and inviting storyline is a design marvel, as it makes it very easy to draw a player into your game. The biggest takeaway from Portal, for me, is that more game doesn’t necessarily make for a better game. Content is king, and having more gameplay is usually a good thing, but it is possible to focus too much on length, rather than good design or implementation, and end up ‘overstaying your welcome’. In addition to games from the past, let’s take a look at a game from the future! The future game I’m most looking forward to (other than Where Shadows Slumber) is a game I saw at PAX East this year. I only got to play the demo for a few minutes, but I’ve been really excited for it ever since. And the winner is… The Gardens Between! Check out the haunting cell-shaded indie goodness! After checking this game out, I’m sure you’re not surprised that I chose it. After all, it’s an indie game with a cell-shaded art style, a slight metaphysical twist, and gameplay based at least in part on lanterns! How could I not love it? Parallels with Where Shadows Slumber aside, this game looks awesome. The controls are very simple and intuitive, and yet the puzzles show a depth that promises very interesting and challenging interactions. The game looks relaxing, sleek, and challenging, which, to me, makes for an awesome upcoming game. Props to The Voxel Agents on what looks to be a great title! This list is by no means exhaustive. In fact, in an effort to pick my favorite games, I’ve left out some games that perhaps played an even bigger role in turning me into a game developer. There’s the first game that really got me into gaming (Runescape), the game that first got me interested in making games (Block Dude), and the game that I probably spent the most time playing (World of Warcraft), but, as important as these games were to me, I don’t really consider any of them to be in my top 5 favorite games. Despite their differences, each of these games (and any game I’ve ever played, really) has had an effect on the decisions I make when working on Where Shadows Slumber or anything else. These games are all very important to me personally, and I hope I’ve done a decent job of explaining what each of them brings to the table, design-wise. Hopefully you’ll be inspired to examine your favorite games, and the design patterns involved in them! If you have questions about my favorite games, or just want to share your own, feel free to contact us on social media! You can always find out more about our game at WhereShadowsSlumber.com, find us on Twitter (@GameRevenant), Facebook, itch.io, or Twitch, and feel free to email us directly with any questions or feedback at contact@GameRevenant.com.